Right Honda, a Honda dealer in Scottsdale, AZ was built with one mission – Provide amenities to guarantee customer satisfaction before, during, and after the sale of our great Honda cars, trucks, and SUVS. Our Scottsdale Honda dealership is one of the premier Honda dealers in the state of Arizona. Our commitment to customer service is second to none. We offer one of the most comprehensive Honda parts and Honda service departments in Arizona. 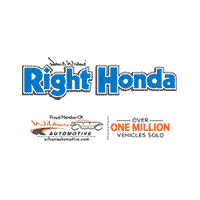 Right Honda provides Scottsdale, AZ with an excellent Honda Parts Team. Please be sure to visit our virtual Parts and Service department online righthonda.dealerpro.net, or come in to visit us at 7875 E. Frank Lloyd Right Blvd..
Our primary concern is the satisfaction of our customers in the city of Scottsdale, AZ, and those surrounding suburbs near Phoenix, Tempe and Chandler, Mesa, Gilbert, Peoria. Our online Honda dealership web site was created to enhance the buying experience for each and every one of our internet customers. Please feel free to call us at (480) 210-9211 listed or send us an email using the Contact Us page. Right Honda prides itself on being a 10 year winner of Honda President’s Award, and many other prestigious awards, such as,President’s Award Elite, the Honda Master’s Circle, which only is given to the Top 50 Honda dealers in the country. Right Honda has also been the Dealer of year for Dealer Rater, and the top Customer satisfaction award for 6 years running. Here at Right Honda it makes us proud to know we take care of our customers and their overall satisfaction is our #1 priority. Come join us, become part of Right Honda’s family and see why our customers are very satisfied with their experience!! !